There is a fantastic account of God’s power and faithfulness in the book of 2 Chronicles. King Jehoshaphat learned that he and his people were going to be attacked by an army. He proclaimed a fast and the people gathered together to seek help from the LORD. Jehoshaphat bowed with his face to the ground, and all the people of Judah and Jerusalem fell down in worship before the LORD. Then some Levites from the Kohathites and Korahites stood up and praised the LORD, the God of Israel, with a very loud voice. There are times when we face battles. They may not be actual military conflicts, but they are battles, just the same. Whatever the struggle, it is a real one for you. Sometimes I sing to God and play the piano. A few months ago, I felt that a tremendous attack was coming to our family. 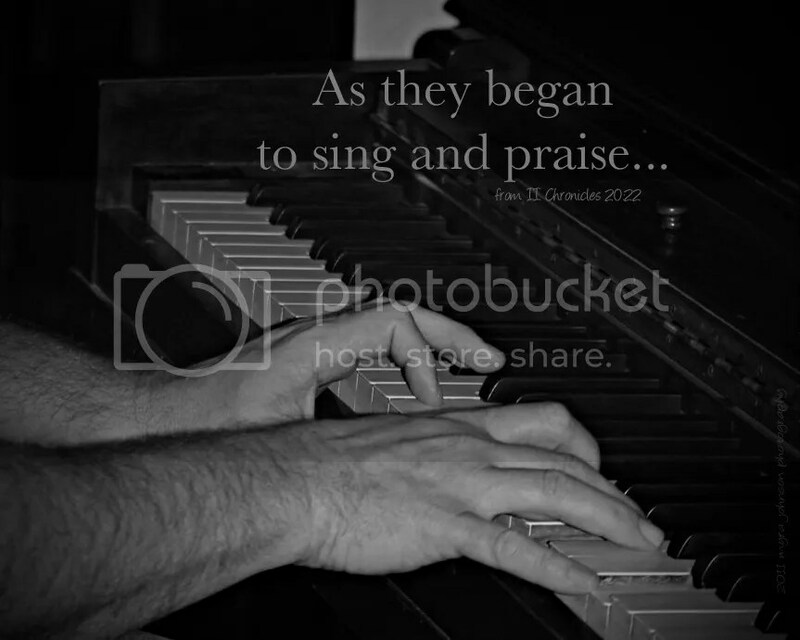 My husband and I sat at the piano and we sang songs of praise to God as I played. Song after song, we continued. God was the only One who could stop the "army." The next time you are facing an attack, pray out loud. Play an instrument if you have one! You may find that God is ambushing the enemy and delivering you from his snare. I’ve been trying to find out a little more about this kind of stuff, thanks for sharing. Your share is meaningful. Looking forward to your more articles. Multi-Diag J2534 interface est un outil de diagnostic universel avec fonctions excellentes. Multidiag J2534 rend le diagnostic complet. Multi Diag est multilingue.